Will The Vampire Diaries conclude after Season 8? We have no idea about whether it's going to be the final season for the long running CW series. The ratings are down, but it's clear the network doesn't care about live ratings as much as the other networks. The show has survived a raft of departures from the cast in recent years, but could it continue on without Kat Graham and Ian Somerhalder? Have a look through our gallery of things to expect when the show finally returns to the air. Remember you can watch The Vampire Diaries online right here on TV Fanatic. Get caught up now! 1. Steroline On The Outs? After all the back and forth on The Vampire Diaries Season 7, a new woman appears in town and instantly takes a liking to Stefan. The chick gets what she wants, even if she has to turn to unconventional ways to get it. Sounds ominous, but if they mess with Steroline once more, I'm done. Julie Plec has already confirmed that Nina will be back for the conclusion of the final season, so with all signs pointing to this being the end, you can expect Julie to be pulling the above face to Nina to make sure she follows through on a promise. With Containment finished, Julie has made it clear that she's been trying to find a logical way to bring Kai back into the fold. He was one of the best villains of the entire series, but he got his head ripped off. What type of witchcraft will be able to bring him back? We're all for it, as long as the whole Gemini coven is over. The CW are not confirming the episode order for Season 8. This could be a blessing in disguise. The Vampire Diaries Season 7 had the best episodes in multiple years, but also the worst. A shorter order could make for a clearer narrative without the boring meanders. Kat Graham will have the biggest story of the season. In most seasons, she's been used as the loop hole to get rid of a villain. Expect her to leave in a blaze of glory! The new villain has made Damon and Enzo go dark and they're collecting a whole lot of bodies! The gang will rally together to try save them, but will it be too late for one of them? 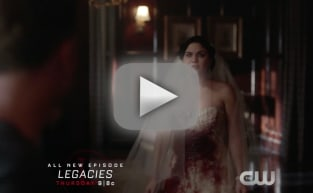 The Vampire Diaries Spoilers: Who Will Survive the Series? Nina Dobrev Books TV Return: Find Out Where She Landed! The Vampire Diaries Season Premiere: First Look! The Vampire Diaries Season 8: Will Nina Dobrev Return? The Vampire Diaries Season 8: Premiere Title Revealed! The Vampire Diaries Season 8: How Short Will It Be? The Vampire Diaries Season 8: Nathalie Kelley Joins As Final Villain! The Vampire Diaries: Concluding After Season 8!